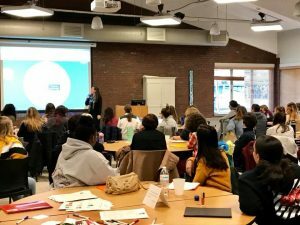 This conference, organized by PSU’s President’s Commission on the Status of Women, is dedicated to empowering girls and young women throughout the state of NH. 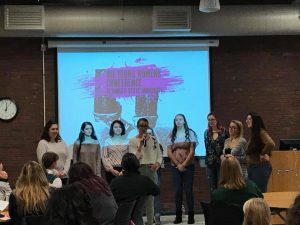 We aim to provide a forum for young women to discuss important topics in a safe and supportive environment, pick up valuable resources at the information booths, and connect with other young women in New Hampshire. We are very excited about the amazing workshops and entertainment we have for you this year. 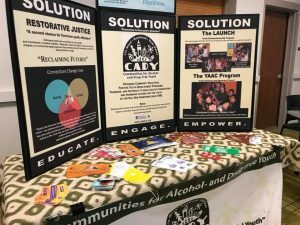 The conference is held on an annual basis during the fall semester. 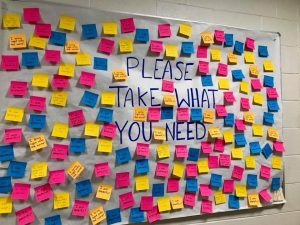 New Hampshire middle school, high school and college-aged women and girls. All those who identify as girls or women are welcome! $10 and includes lunch and a conference t-shirt. Scholarships are available. No one will be turned away due to lack of funds. FREE for Plymouth State University students. What happens at the conference? 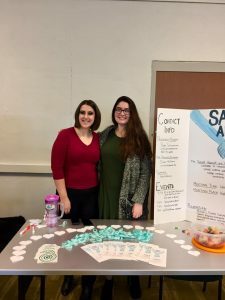 A lot of fun, including info booth bingo, lunch in Prospect Dining Commons, a performance by PSU’s own all female acapella group Mixed Emotions, poetry by Professor Liz Ahl, and workshops. 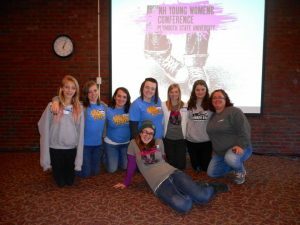 Workshop topics include healthy relationships, body image, career options, gender stereotypes, and leadership. For more information call Jessica Dutille at 603-535-2372.